“They let the separatists take over the square and we couldn’t enter. 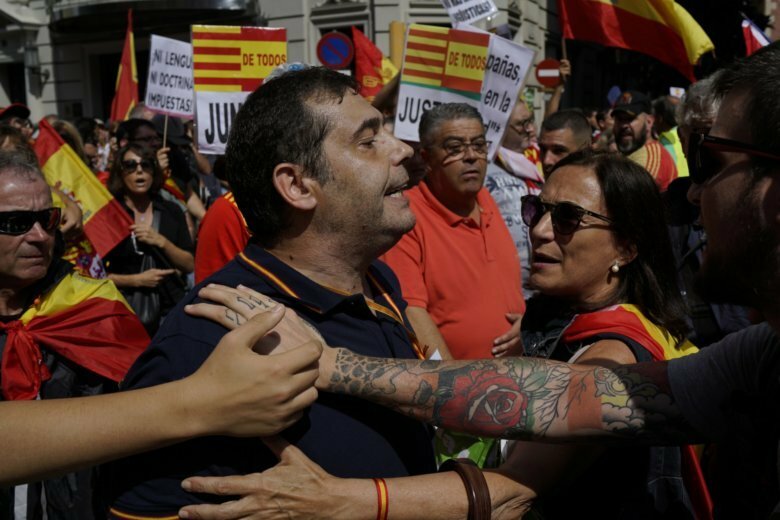 People are angry,” Gloria Lago, an organizer with grassroots group Hablamos Espanol, (We Speak Spanish), told Catalan television TV3. Meanwhile, supporters of the region’s independence from Spain held a banner that read, “We defend the language.” Catalan is the main language in the northeastern region’s schools. Last year, Catalonia’s separatist-led Parliament issued an illegal and ineffective declaration of independence. Its leaders are currently pushing Spain’ central government to authorize an official referendum on secession.